After Jaden came into our lives I was fully prepared to adopt the rest of our children. I had little desire to become pregnant again. I had wrestled much with the laying down of the hope of more children biologically and in that often resistant surrender had truly come to a place where I simply wanted what God wanted for our family. If that meant another biological child so be it. And if that meant the rest of our family formed through adoption so be it. In fact, in my surrender I became more and more excited about the possibility of a home full of children that did not look like us. Yet, in the back of my mind, I knew that a piece of my reasoning to not try again to get pregnant was fear. Fear that I would have to walk through another loss, fear of what that would do to my body, my marriage, my son, myself. But long ago I made the decision to not make a decision out of fear. That conviction lingered in my heart. Kevin was more ready than I to try again and patiently waited as I processed, prayed and sought the Lord on whether that was something I could step into again. We are a team. A great team (in my opinion) and I wanted to make this decision as a team, taking into consideration his desires as well as my own. I knew that if I was never ready to step into the possibility of pregnancy again, Kevin would be fully supportive of that decision too. Our doctor and genetic counselors all believed that there was so far no reason to believe the girl’s condition would happen again. They went above and beyond researching only tests that they thought would be helpful in figuring out any concrete reason for the girls’ condition. I had much blood work done, and we were able to do tests on Dasah’s blood with nothing coming back as anything more than, “hmmm. That’s interesting but inconclusive”. As more tests were offered we realized we were going down an endless rabbit hole, where there is still no conclusive research done to determine the cause of acrania/anencephaly. The most we would find if we continued to do tests was “this might be a factor”. So we stopped taking tests and decided we simply needed to decide whether we would try again or close the door completely. All along I was praying that if God wanted us to try again that He would give me courage and calm my fears. Over the course of the following months, I began to notice Him doing just that. And I realized in that time that in five years I may look back and regret not trying again. And if we tried again, became pregnant and our child could not live, I knew I wouldn’t regret walking through this again. Why? Because in the midst of the pain of losing my daughters I have ZERO regrets of carrying them, celebrating them and loving them. I began to remember that just as God had given me strength on our journeys with our girls so He would do the same on whatever journey He would have for our next child. So Kevin and I decided to take a step of faith to try again when Jaden was a little over a year old. Six months later we were pregnant and I was in shock. I was filled with many emotions and fears during the first trimester until we went in to find out this baby’s condition. At 10 weeks pregnant, right before Christmas, we went to see our high-risk doctor and find out if we could see a developing brain and skull. I was fully prepared to walk the same journey as with Sophie and Dasah. Mostly because that is all I have known in pregnancy. Robyn, the technician we have had throughout our pregnancy was there and the whole office seemed to be on pins and needles–cautiously excited– knowing we were coming that day and so many covering us in prayer. Robyn brought us in and told us, “Listen, I’m just going to tell you what I see when I see it. No waiting.” She wasted no time and within seconds had the wand on my belly and was saying the words I only dared to hope she would say, “Ok guys, everything is looking good. Everything is looking good.” EVERYthing. The brain and skull were forming. And I didn’t know whether to laugh or cry. Tears of disbelief filled mine and Kevin’s eyes. Our high risk dr, our friend, Dr. A came in, checked and agreed and then checked my pulse (which he’s never done). I imagine He was checking to see if I was ok from this kind of shock. Our baby could live! I wasn’t fully convinced. I wanted to see the white line on that ultrasound that showed the outline of the skull before I became too hopeful. And though everything showed that all was well, it wasn’t until we went back a few weeks later and saw that little white line forming that I started to breathe easier. Yet, still I don’t know what it’s like to carry a baby that can live. All I know is carrying a child that I will have to say goodbye too. 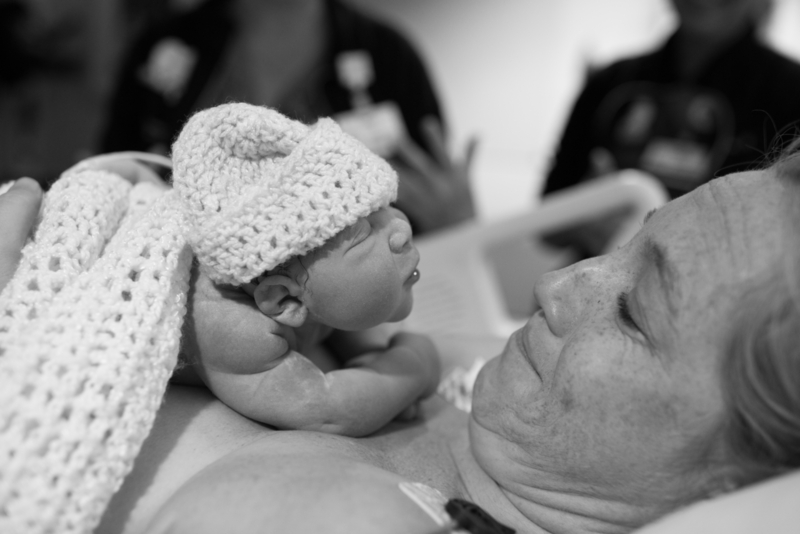 Jaden came into our lives so quickly that there was little time to live in the tension of fear and hope, wondering if the birth mother would change her mind, wondering if he would make it to birth. No, we found out about him at his birth, and the birth mother had already chosen us and signed consent. I am so grateful I didn’t have to live in that tension with Jaden. But now this is where I sit. I am also now in a community full of baby loss mommas. Mothers who have lost children to so many other reasons; mothers who are aching to hear this kind of good news about their baby; mothers who have found out that having another child biologically is not possible. And I am now 23 weeks pregnant with a healthy baby. I feel the weight of the frailty of life, knowing that the only promise I can cling to is Christ. There are no guarantees for this baby’s survival and as I have to consciously fight to choose to live in the reality of what is true today–this baby is alive and healthy–I am sobered by the reality that our lives, this life is not in my control. The ache I have felt so often in hearing the news of another pregnancy I now feel for the mothers that feel that ache hearing this news. And as I take joy in this pregnancy, I also grieve as I remember all the moments I had with my girls… nearly all of which were in pregnancy. This pregnancy is filled with joy and ache. Both my mother and mother in law have sent us our first baby clothes for this child. PINK baby clothes because this little baby is a precious girl. Our 3rd daughter. Both times as I opened their gifts, tears flooded my eyes. Dare I believe she will actually get to wear these clothes? How many times have I avoided a little girls section of clothing at the store because it made my heart ache so badly? There are so many strange emotions on this journey. I watch Jaden cuddle his Sophie and Dasah bears that hold recordings of their heartbeats and cries, point to their pictures saying their names and I have longed to see him be a sibling to them and them to him. And now I imagine him being a big brother to this little girl and my heart both explodes with love and aches with longing for what is and what is not. I am still in disbelief at what is to come–I am still ever holding in tension my hope to bring this child home, while wanting to not make this child the object of my hope. I am incredibly grateful to get to be a mom of four. I am incredibly grateful that this little girl can live. I am incredibly grateful for each of the children God had given me. God is not being more good to us in this pregnancy than He was in my first pregnancy. Each of my children have revealed His goodness in different and yet equally astounding ways. Today is no different. For His goodness to us was firmly and resolutely displayed on the cross 2000 years ago. The day we commemorate in less than 2 weeks is the day that leads into the greatest day of his astounding resurrection. The day that we celebrate where we know with confidence that death is defeated. And we have a living Hope that is THE anchor for our soul. Five years ago, we entered Easter having just found out our daughter Sophie would not live. That year Easter held more power to me than it ever had before. And as we step into Easter this year, and I feel my little girl kicking in my womb, and I remember the kicks of her big sisters, and I think of my precious son who uses the legs that kicked his birthmother’s womb to run around our home, I am grateful for the tastes of the coming redemption God gives us on this earth. And my heart is filled with longing for the coming day when all will be redeemed forever and ever and ever. We know this hope more firmly today because of how so many of you have carried us with your prayers and support over the past five years. And we would love for you to pray for this new life growing inside of me! 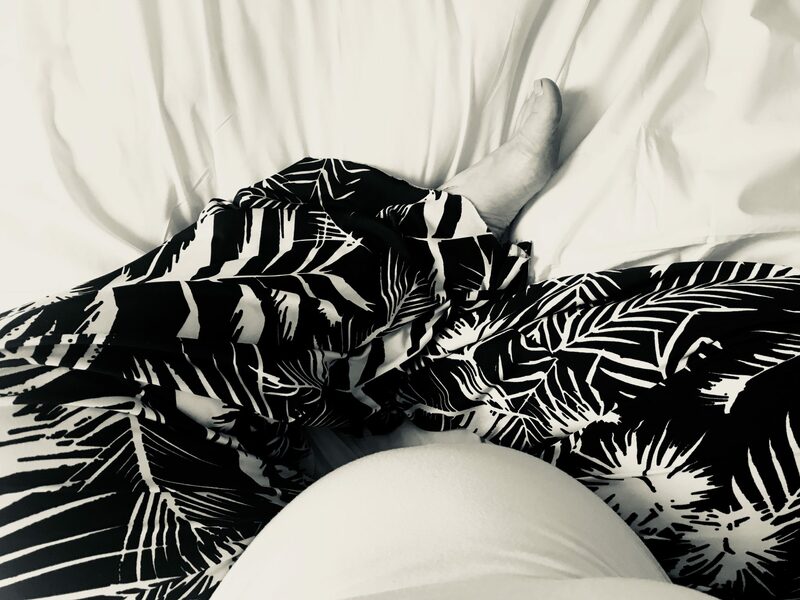 Would you pray that she would continue to grow healthy and strong and that God would enable me to navigate the emotions of joy and grief that collide in this pregnancy. But most of all would you pray that God would continue to be glorified through our lives and this little girl’s life, however He would choose. And that we would continue to walk in surrender to Him as He forms and leads our family. Dasah	She Gave Me Curls.